Gollum, Caesar and the other greats from Hollywood's most talented chameleon. Few actors can even come close to having as eclectic of a filmography as Andy Serkis has had. 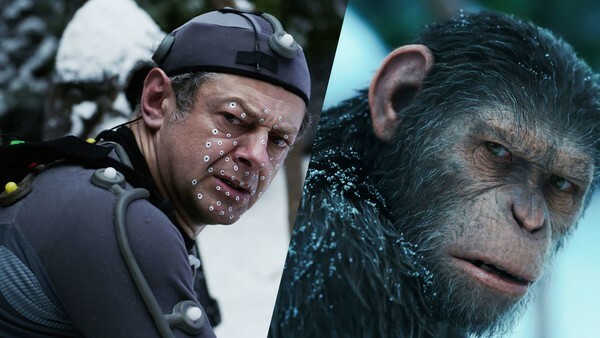 Over the course of more than twenty years in the film business, Serkis has played roles that few before would have even dreamt of playing or being able to play, thanks to his insatiable ambition and desire to constantly push the boundaries of film and technology. Acting as one of the greatest pioneers in motion-capture performances, Andy Serkis has remained a trailblazer throughout his career, ascending the heights of Hollywood to become a star in some of the biggest blockbuster franchises of all time, even if audiences weren't necessarily seeing his face at first glance. With his new film premiering on Netflix this weekend, Mowgli: Legend of the Jungle, Serkis takes the next step in his career as he takes on directorial duties of a big-budget motion-capture film as well as starring in it, which makes this the perfect time to take a look back and appreciate all the incredible work the man has done. These are the eight best performances of Andy Serkis, one of the greatest and most underappreciated actors of his generation.